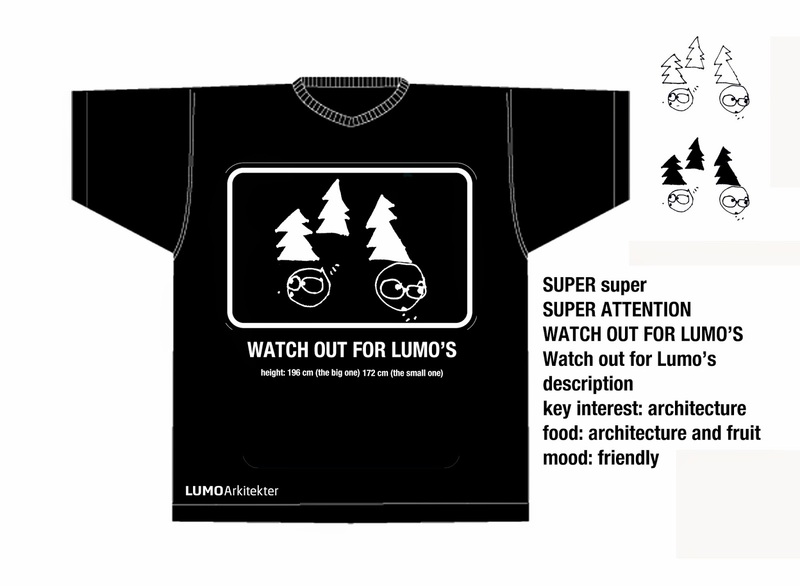 The architectural office "LUMO", Denmark, asked for the design of an inventive logo t-shirt with an idea and a motif, which could also suit the typical bag architects are using for professionel meetings. Three ideas were worked on: The LUMOs, Watch out for LUMOs and Working LUMO. It was the Working LUMO that won (the one right above), being the less 'silly', the most subtle, but still with that self-ironic feeling. 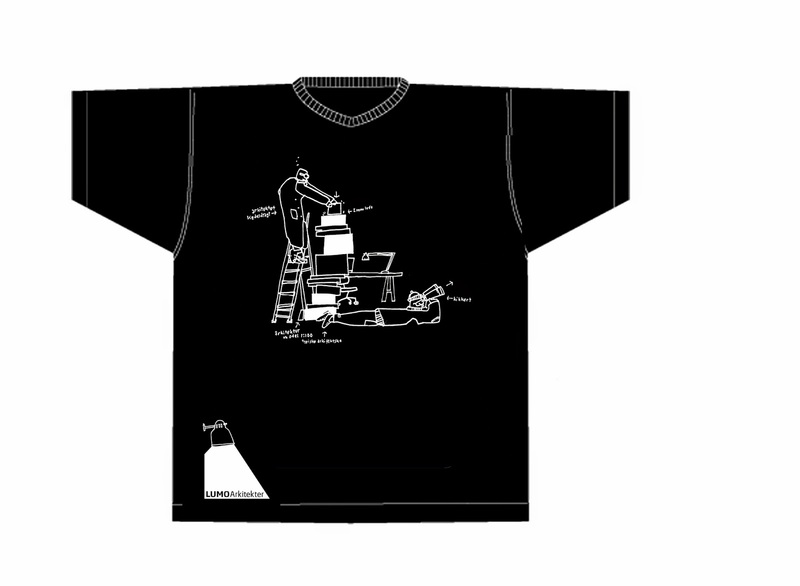 And oh oh, where did I put the photograph of the actual t-shirt, where it perfectly proves to be okay and perfectly fits both two partners, Mads and Lars, in their working studio? Well, you will have to do with these ones.